A federal appeals court on Tuesday threw out some of the convictions against two former aides to former New Jersey Gov. 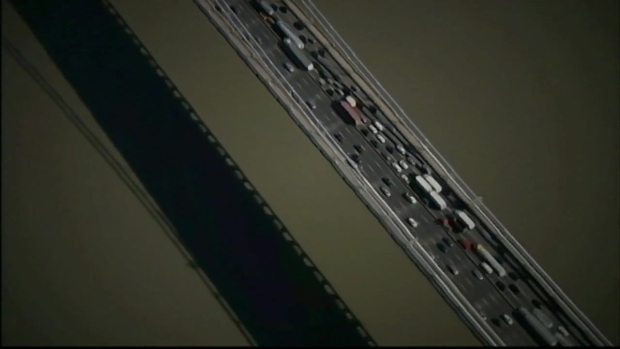 Chris Christie in the George Washington Bridge lane-closing scandal. 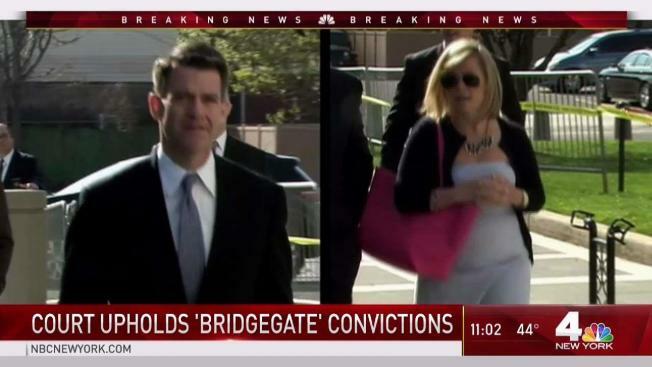 Bill Baroni has been sentenced to 18 months in prison for the George Washington Bridge lane-closing scandal known as "Bridgegate"
An appointee of former New Jersey Gov. Chris Christie called out his former boss Tuesday at his resentencing for his role in the George Washington Bridge lane-closing scandal, blaming his missteps partly on a misguided loyalty to the two-term Republican. In a wavering voice Tuesday before he was sentenced to 18 months in prison, Baroni apologized for his actions and said he allowed his desire to be on Christie's "team" to cloud his judgment. "I wanted to be on the team, I wanted to please him, but I chose to get sucked into his cult and culture," he said. "So by the time of this idea, to use the lanes of the George Washington Bridge to help his campaign, I no longer had that line of right and wrong to say no or to stop it. So I didn't." 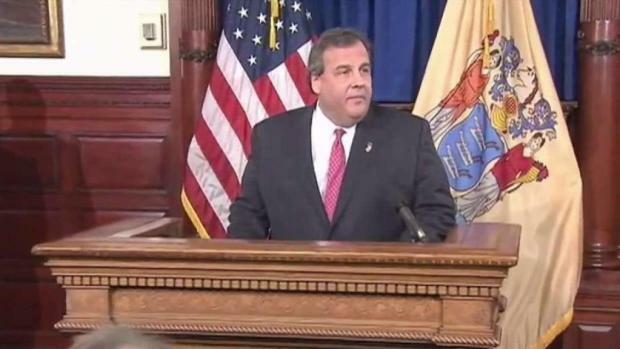 Christie wasn't charged, but the massive gridlock over four days and part of a fifth in September 2013 mushroomed into a scandal dubbed "Bridgegate" that dragged down his presidential aspirations. David Wildstein gets no prison time. Brian Thompson reports. Christie later conceded it played a role in then-Republican nominee Donald Trump's decision not to name him as his running mate. Baroni was a Christie-appointed executive of the Port Authority of New York and New Jersey, which operates the bridge. He was convicted in 2016 and sentenced in 2017 to 24 months in prison, but a federal appeals court threw out civil rights counts against Baroni and co-defendant Bridget Kelly, the Republican governor's former deputy chief of staff, last fall and ordered the resentencing. David Wildstein, a former high school classmate of Christie's who reported to Baroni at the Port Authority, admitted orchestrating the plot to create traffic jams to retaliate against a mayor who wouldn't endorse Christie. He pleaded guilty and was sentenced to probation. Kelly, the author of the infamous "time for traffic problems in Fort Lee" email a month before the traffic jams, received an initial 18-month sentence and is appealing to the U.S. Supreme Court. Baroni had sought a new sentence of six months' incarceration plus additional home confinement and community service. The government had asked for a prison term of at least 18 months. In comments to the judge Tuesday, Assistant U.S. Attorney Lee Cortes argued that Baroni's contrition didn't alter the fact that he "harmed many people" and lied repeatedly about what he had done. Baroni's comments echoed U.S. District Judge Susan Wigenton's comments from his and Kelly's sentencing in 2017 when she pointed a finger at the poisonous political climate in Trenton that was the byproduct of "a culture and an environment that lost its way." On Tuesday, Wigenton said the appeals court's dismissal of the civil rights counts "didn't change a whole lot for me" in assessing Baroni's crimes. There was "a continuous misrepresentation of what occurred, and it continued right into the trial," she said.